Perhaps you’re looking for a vintage to squirrel away for an anniversary or special event, or a bottle to give to (and impress) the boss, or you simply want to expand your own cellar. Whether your personal wine collection rivals that of a high-end Las Vegas restaurant or wine appears on your grocery list alongside milk or bread, there comes a time when every wine drinker wonders: should I drink this now or keep it for later? Some wines are designed to be enjoyed when young — can you say Beaujolais Nouveau? 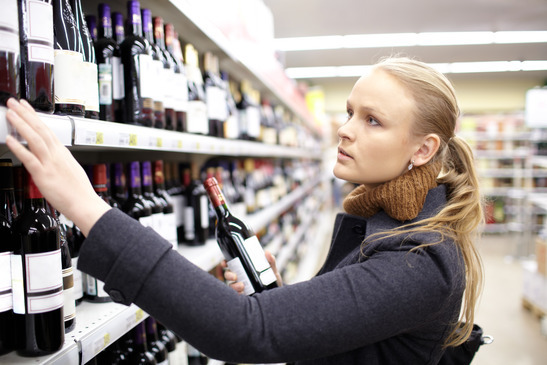 Many wines sold in supermarkets are designed to be consumed within a year or so after release. Most consumers buy a bottle and enjoy it within a matter of days or weeks. And then there are wines that need a little extra time in the bottle to reveal their true potential. So, how do you know which corks to pop now and which to save for that special occasion? Of course, personal preference is the main stipulation. Some enjoy the gripping tannins and full-blown fruit quality of a younger red while others would rather wait, sacrificing the vibrancy of the fruit for a softer, smoother mouthfeel. One of nature’s preservatives, tannins are found in the skins, seeds and stems of grapes and help keep the finished wine together as it ages in the bottle. Because of the extensive skin contact that takes place during winemaking, red wine has more tannin than white or rosé. So, how do you know if a certain wine has this magic ingredient? If you’ve tasted young red wines you’ll recognize the “attack of the tannins” — a palate-puckering, dry, slightly astringent feeling. As the wine ages, the tannins become softer and silkier. Some grape varieties such as Cabernet Sauvignon, Malbec, Tannat, and Mourvedre are more tannic by nature. Wines from warmer climates — Châteauneuf-du-Pape in the south of France, for example — will produce vintages with more tannin. Oak barrels have tannin, too. Most reds are barrel aged, adding to their tannin levels. Some white wines are aged in oak and will have more tannin. Chardonnay, for example, has just enough tannin from the barrel plus other characteristics to allow cellaring. Often described as “zesty,“ “zippy,“ “racy,“ or “nervy,“ acid gives wine a refreshing, palate-cleansing quality. Acid also provides a backbone for wine as it ages and keeps the fruity character of the wine alive over time. Look for Italian wines like Barolo, Cabernet Sauvignon from Bordeaux or Napa Valley, white and red Bourgogne (Burgundy), or German Riesling. Don’t forget the bubbly! Champagne, especially vintage and other fine sparkling wines made in the traditional method, just get better with a little extra time. It’s the acidity that keeps them fresh. Sugar is another factor to consider, especially when it’s combined with higher alcohol like you find in many fortified wines: Port, Madeira and Sauternes will all reward your patience. What should you open now? Most white wines like Pinot Grigio, Sauvignon Blanc, Moscato and un-oaked Chardonnay are at their peak when young. Open these within two years of their release. To really appreciate their fruity, floral aromas and thirst-quenching qualities, open those bottles sooner rather than later. 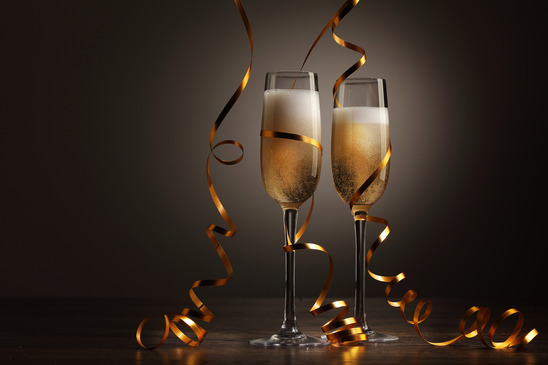 The same applies to rosé and blush wines and youthful sparkling wines like Prosecco. Light and fruity reds are best drunk young: Beaujolais and Beaujolais Village, Italian Chianti and Dolcetto, for example. Chilling them for a brief time will also bring out their exuberant qualities. No matter what size your collection, there are wine storage systems to suit every need and space, from small countertop wine refrigerators to custom walk-in wine cellars. And don’t forget to make friends with your knowledgeable wine merchant. They’ll be more than happy to point you in the right direction for your palate and advise you on what to open now and what to save for later. If you’re wondering when a particular bottle in your collection will “peak,” you can also turn to resources like CellarTracker or WineSpectator for tasting notes and reviews from other wine lovers and experts. If someone else opened a bottle too soon or waited too long, you can avoid making the same mistake they did.